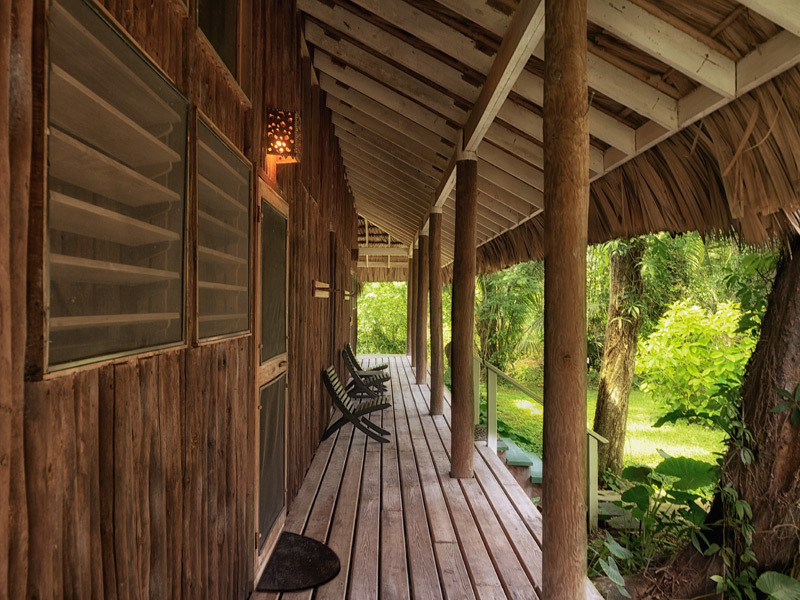 There’s no stumbling upon Chan Chich Lodge. 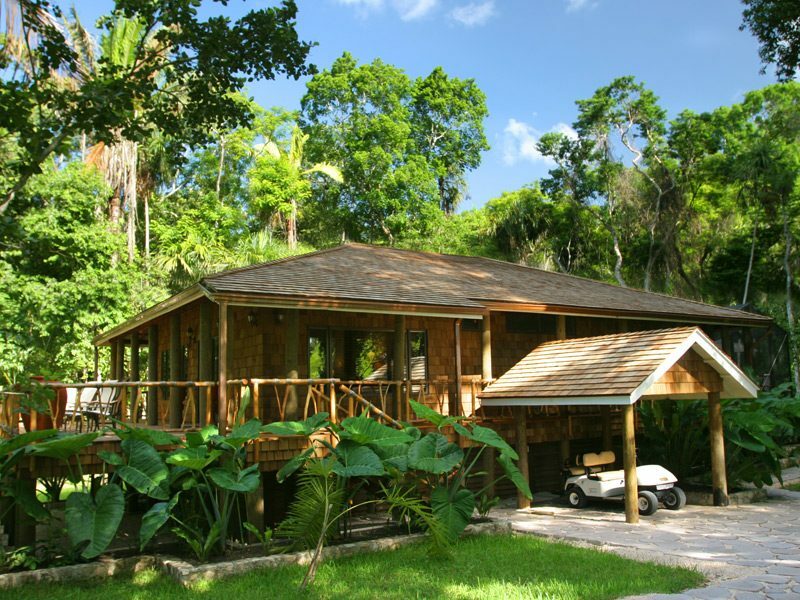 Located deep in the rainforests of northwestern Belize and best accessed via helicopter (there’s a private airstrip), the property requires a bit of planning to reach, but that’s sort of the point. 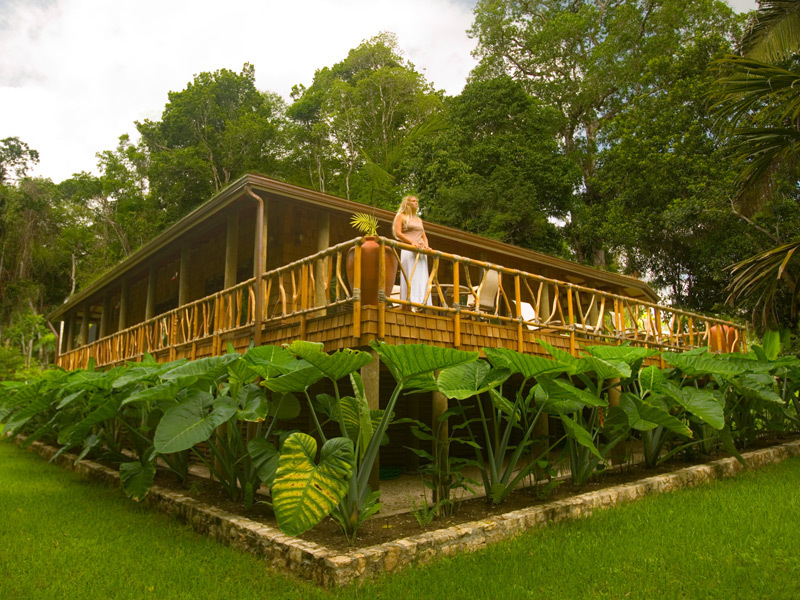 Adventurous honeymooners, eco-tourists, birders, wildlife-lovers, and intrepid families alike will relish the authentic jungle experience that Chan Chich provides. 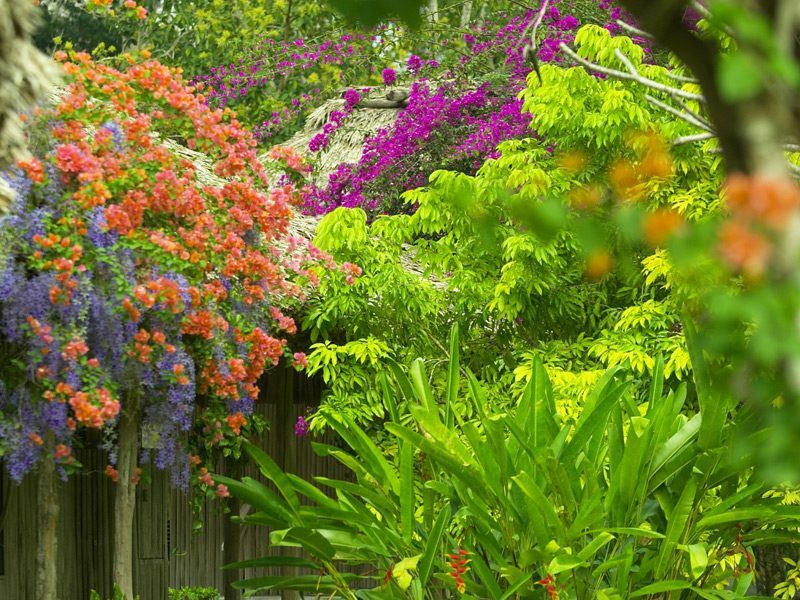 Situated on the site of an ancient Maya city (the grounds feature partially excavated Maya ruins, which makes playing out Indiana Jones fantasies all too easy), Chan Chich is located on a 52,610-hectare (130,000-acre) private reserve of pristine tropical forest. The area is also home to ocelots, tapirs, fox, and agoutis. 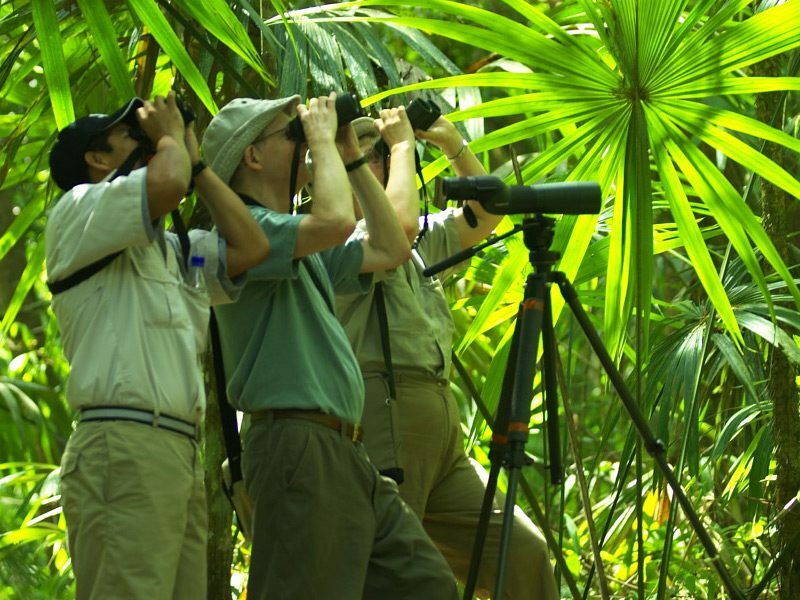 Birders will love the incredible variety of species on display—350+ identified to date—including the lovely cotinga, ornate hawk eagle, and rose-throated tanager. There are plenty of toucans, parrots, and hummingbirds, too. 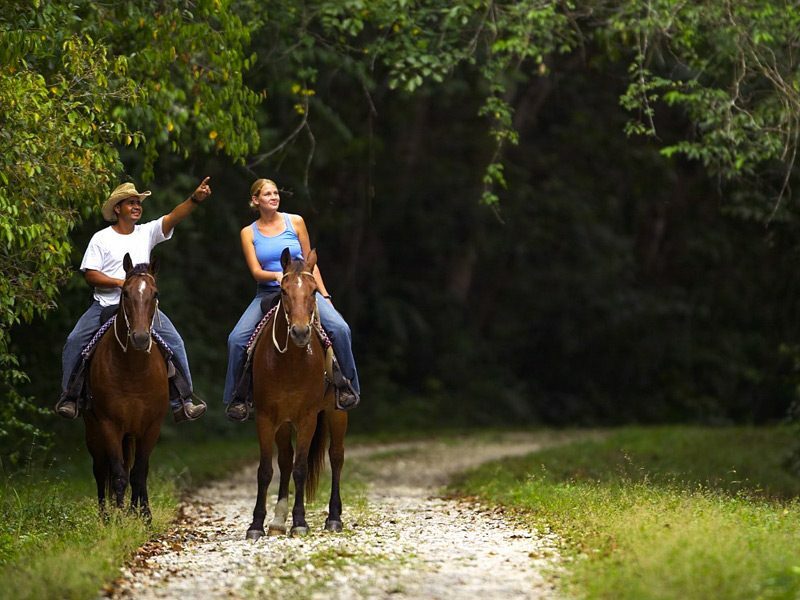 The lodge offers activities like guided night walks and drives, medicinal plant tours, and visits to local Maya sites. There’s also fly fishing, canoeing, and horseback riding, though plenty of folks take time to relax, too. “Our guests enjoy the peace and tranquility our remote property has to offer,” says Christine. Chan Chich comprises 12 private, spacious, and comfortable thatched-roof cabanas (screened windows allow the sounds of the jungle in, while ceiling fans keep rooms cool), plus one beautifully appointed two-bedroom villa replete with a hot tub, wrap-around deck, air-conditioning, and a golf cart. The lodge also boasts WiFi (impressive, considering its remote location), a screened-in pool and hot tub, and an open-air restaurant with an excellent menu and a fully stocked bar.